Ok, the 5-2 fasting diet has fast become the most popular diet of 2014 for slimmers. My parents and my sister have been starving themselves twice a week on the 5-2 diet for the best part of a year now. They look great and say they feel great on this diet. However, they have not been diagnosed as bipolar (oddly enough). The results of their fasting have been less great for me. Like a lot of you, the thing I look forward to most about my parents’ visits is my mum’s cooking. However, following my parents’ most recent visit to HK, I was disgusted to discover I had accidentally lost six pounds, purely from eating soup with them on fast days. The previous year they had visited me in HK, my parents had generously left me with 9 tubes of sour cream Pringles, 14 bottles of wine (ok, the wine was not meant for me) and no less than 17 bars of dark chocolate: Result!! On their most recent visit, which lasted six weeks, they left me with no Pringles, no chocolate, just twenty-four packets of dried prunes (still unopened) and some leftover soup (in the bin). In fairness to my parents, I have spent a lot of time over the past two years researching the best bipolar-friendly foodstuffs (which has actually been a lot less tedious than it sounds). Confronted by the bleak nutritional facts, I have been curbing my enthusiasms for what’s bad for me (and you). But how typically inconsiderate of my parents to take me quite so seriously? Anyway, I digress. As far as my research goes, everything I’ve discovered has clarified that eating anything less than 3 small meals a day is not only unhealthy, but dangerous. 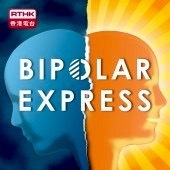 Chances are, if we’re bipolar, we’re simultaneously consuming super-strength bipolar medications (usually, a cocktail of mood stabilizers and antidepressants or antipsychotics) to help us manage our moods more effectively. If we’re intending to make any dramatic changes to our diet, including fasting for periods of up to 10 hours, we are increasing the risks of experiencing sudden, violent, debilitating side-effects from our meds (which, unless we’re really unlucky, we won’t normally be experiencing simultaneously or violently). Think of what that’s doing to our poor stomachs, let alone our minds? If you are considering any dramatic change to your diet, you should contact your medical specialist first. Both the strength and quantity of medications you are taking will need to be adjusted. This may not always be possible, especially if you are on lithium, but by discussing your concerns and desires to implement radical dietary changes with a doctor, you’ll be reducing the chances of complicated, dangerous and unwanted side-effects. For general nutritional advice, visit our Bipolar-Friendly Foods (‘Diet’) section.